How to Be Successful In JEE? Many aspiring students who are sincere and dedicated in their studies, fail to succeed in JEE exam. Almost every one of them is bright and very serious about their dream, but still they did not achieve their dreams. So if you want some tips on how to succeed in Joint Entrance Exam, then you can follow the tips given by the scholars from previous year exams.Also you need to go through the JEE Details. You need to understand that these tips are given by the students who have been successful in JEE, but you also have to decide whatsuits you and your study pattern better. Being a blind follower is never beneficial, you should be open minded about everything. You should make note of every beneficial tip and suggestion, but follow your own mind while preparing for this important exam of your life. Start preparing early: if you listened to the interviews of the previous year’s candidates who topped JEE mains, you will find that they started preparing for JEE, immediately after the exam of standard 10th. Although it seems a bit early to start, the period of two years made it possible for them to pace their study and you should givesufficient time for every subject. A systematic study is important: All these scholars said that they did their studies in a systematic manner. Each one developed a system that worked for him or her and they held on to that system till the exams were over. According to them, this disciplined study helped them concentrate better. Coaching Institutes: Many of these successful candidates had joined coaching instituted which helped in clearing doubts and understanding the concepts better. Self-study: All these candidates believed that self-study was the most important thing. Although they joined the coaching classes and this meant that they were studying for additional time, according to them self-study was more useful for them. So even if you are studying in college and coaching classes, it is necessary that you try to study on your own. Understanding these concepts on your own results in better understanding of subjects. Do not try to learn anything by heart: cramming or trying to remember things by heart is not the way to study for JEE. You need to remember that this is a very different exam and it concentrates on your ability to understand the concepts and to use it in a practical manner.So pay attention when your teachers are explaining so that all the concepts are clear to you and there is no ambiguity. Distance from social media: almost every successful candidate distanced himself or herself from social media for these two years. Social media can prove to be a major distraction which can hamper your studies and you don’t want that to happen. So it is better to stay away from them till you achieve your target. Develop a mentor relationship: Build a rapport with someone who will motivate you to keep you focused on your goal. There will be times when you will be bored and lose the enthusiasm to study, this mentor will help you back on track. They can also help you relieve stress and pay attention to your well-being in these preparation times. Never break momentum between exams: when you appear for the JEE mains, you will feel that you are free after the exams. 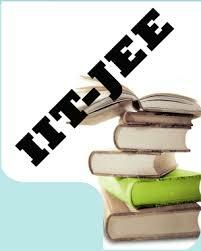 However if you want an admission in IIT, there is one more hurdle to pass and that is JEE advanced. If you lose your momentum of study after the mains exam, you will lose valuable time in rebuilding it. So it is important that you should remember that exams are not over, just part of the exam is done.